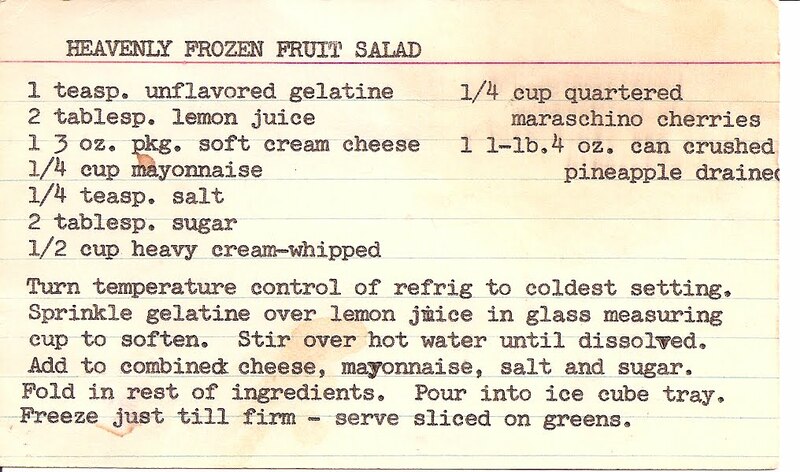 We're all suffering temperatures in the upper 90s today, so I wanted to post a cool-sounding recipe. -Sprinkle gelatin over lemon juice. Stir over hot water to dissolve. -Add combined cream cheese, mayonnaise, salt and sugar. -Fold in fruit and whipped cream. -Pour into ice cube tray. Freeze just until firmed. **alternately, you could just do this in your freezer.